Safe driving is imperative! Especially on Halloween! Navigating the streets as children trick or treat is something that every safe driver should be extra vigilant about. If you’re taking your little ones out for a night of trick or treating, be sure to follow these safety tips! Halloween should be a fun and exciting time for everyone who plans to participate. But with fun comes safety and it is important to stay vigilant while on the road. Review these safe driving tips to keep you and your family safe this holiday! 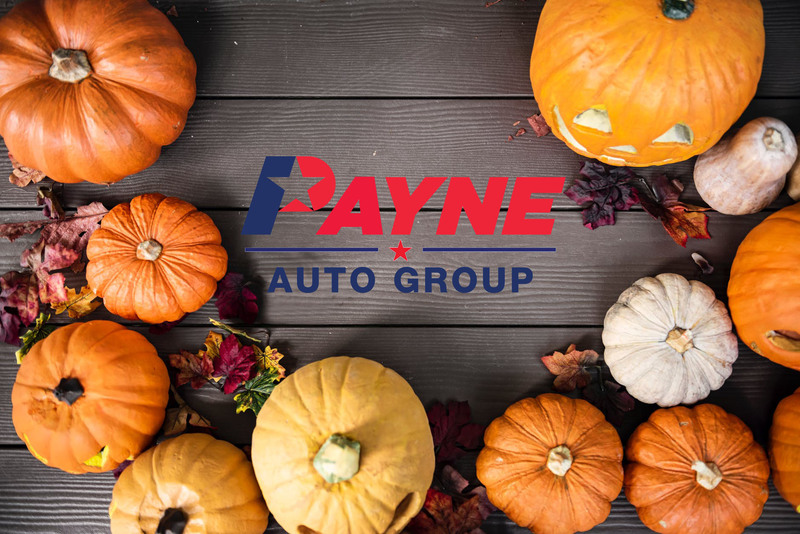 Happy Halloween from the Payne Auto Group! 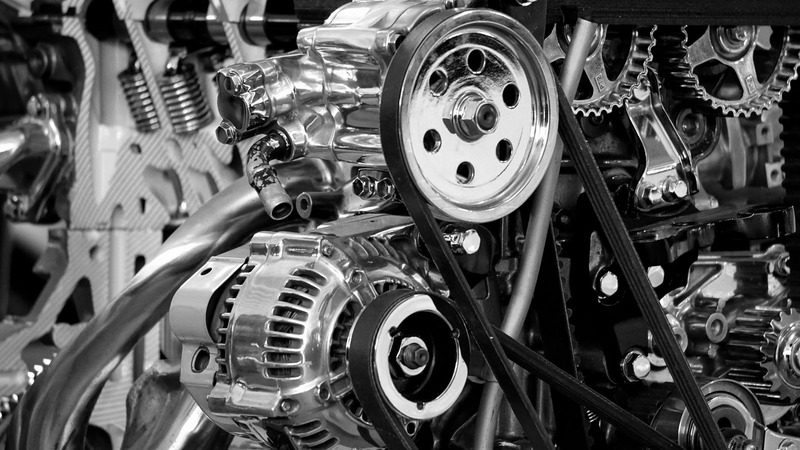 The engine is the most important mechanical part of any vehicle. The engine converts gas into motion and helps get the car running. It’s like the heart of the vehicle, making sure everything runs smoothly. It is very important that you keep up routine maintenance on your vehicle to avoid engine stalls and other mechanical failings. In the case that your engine stalls while you are driving, first you will lose power steering and power brakes. The first thing to do after turning on your hazard lights is to apply the footbrake and steer yourself out of traffic if you are in traffic. Next is try restarting your vehicle. If you cannot restart it on your own, call a friend for jumper cables. If the jumper cables do not work, then you should call a tow truck or roadside assistance for help. If your vehicle stalls while you are idling, such as if you are at a stoplight, first you should turn on your hazards. Put your vehicle in ‘park’ and try to restart your vehicle. If that does not work, call for roadside assistance to help get your vehicle out of the way. You should not get out and try to push your vehicle out of the way by yourself. It is always important to assess the situation before making any decisions. Never attempt to move your vehicle by yourself and always call for assistance when needed. If your vehicle needs service, schedule maintenance online at any of our Payne service locations. Sound Systems: Which Vehicles Hold the Best One? For all those audiophiles out there, making sure your vehicle can match your sound preferences without having to upgrade to an aftermarket system, is a big deal! Buying a new car is an investment, an investment you want to work for you! In this article, we’ll outline some vehicles that come equipped with the best factory sound systems! Since 2011, Beats by Dre has been outfitting the Chrysler 300 with this sound system. The sound system includes 10 premium speakers, a trunk-mounted dual-voice coil subwoofer and a 12-channel 552-watt amplifier. Limited and 300C trims offer an optional 19-speaker Harman/Kardon setup. The 2019 Mitsubishi Outlander also is a stand out for audiophiles. The Outlander is equipped with Premium Rockford Fosgate Audio. This system “pumps up to 710 watts through nine speakers including a 10-inch dual-voice coil subwoofer with Punch Control to deliver deep, rich bass and crystal-clear highs. Fender has proudly been featured in select Volkswagen models like the Passat, Beetle, Tiguan, Atlas, and Golf. The Beetle and the Atlas boast a 12-speaker Fender Premium Audio system, featuring a center channel speaker and third row speakers, gives all passengers a full, complete listening experience. The Golf, Passat and the Tiguan‘s 9-speaker system deliver uncompromising clarity regardless of volume, distinct mid-range tones and powerful bass response, all without distortion. It’s easy to see how Fender and Volkswagen want to bring the best sound quality they can for potential buyers. As vehicles become upgraded, so do their sound systems. Newer models come better equipped for entertainment purposes. If you’re looking to upgrade check out our inventory! So you’re in the market for a vehicle, but don’t know if buying new or used is right for you. In this article, we’ll outline all the major pros of buying a new or used vehicle! 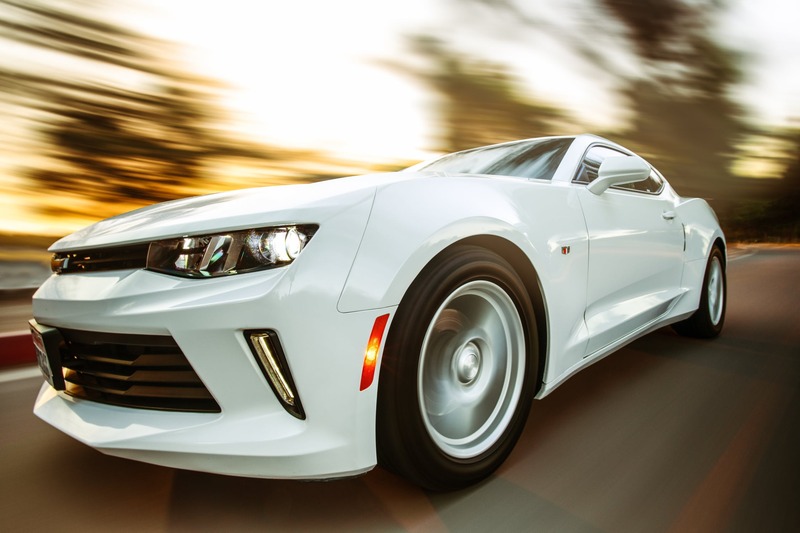 Buying a new vehicle has many advantages and it comes with that “new car smell!” Buying a new car comes with a lot of advantages, such as a guarantee that the vehicle is new and not used by any other individual. Warranties are also something to look consider, as a new car often comes with a time-frame warranty. 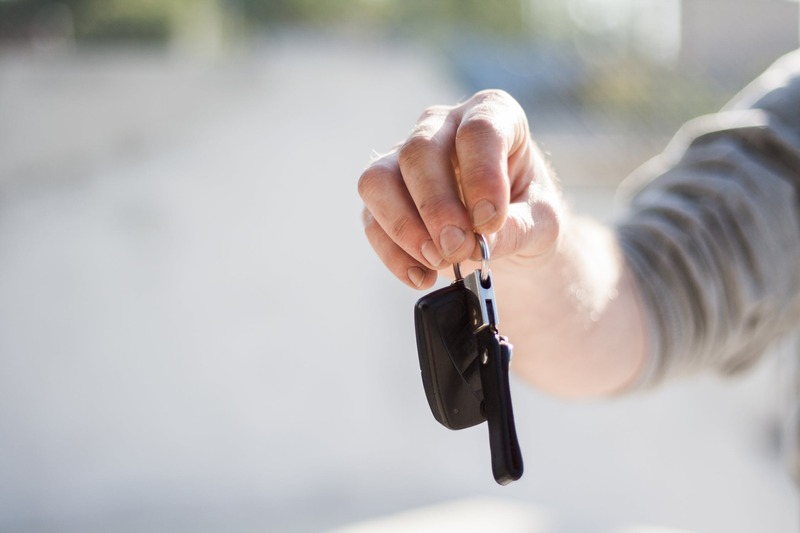 There is always the option to purchase a warranty for a used or Certified PreOwned vehicle, but when buying a new car, the new car comes with a warranty. Financing is also available for newer vehicles as they have not hit their depreciation yet. New technology and safety features are also common with new cars. If you’re interested in connectivity or advanced safety features, a new car will have those features compared to a used or older model. This means that you will always have the latest and up to date features and tech. Buying used may hold a lot of advantages for a lot of people. Buying used can open up a lot of different doors for many people. A used car can still be a newer model or even a luxury brand. Due to used cars generally being less expensive than brand new cars, a buyer may be able to splurge on a nicer or newer used vehicle. Depreciation also works in buyers favor here too. Some models depreciate as much as 40% as fast as the first year it’s been released. With a used car, a buyer doesn’t have to worry about depreciation once they roll off the lot. Cheaper insurance is also a factor in buying used as used vehicles don’t need Gap Insurance to cover the vehicle. Tax and registration fees are generally lower for used vehicles as well. Buying a new or used vehicle have a lot of benefits that really depend on what you’re looking for. Whether you’re looking for a new car with the latest tech, or an affordable car with great benefits, check out our new and used cars on our website and schedule a test drive today! With gas and diesel prices spiking, many people are turning to the Internet to find tips for improving gas mileage. If you don’t drive a fuel-efficient vehicle, your gas mileage might be a constant thought in the back of your mind. In this article, we will talk about how to improve gas mileage so you can stay away from the pump longer! Did you know that properly inflated tires can reduce fuel consumption by up to 3%? Making sure your tires are properly inflated keeps your gas mileage looking great! It is recommended to check your tires on a weekly to monthly basis. Not only does keeping your tires properly inflated help with fuel consumption, but it also reduces uneven wear and tread. It seems like simple math when you think of how much effort it takes to pull heavier things. An extra 100 pounds increases fuel consumption by 1–2%. This especially comes into play when you’re in stop-and-go traffic. Lightening the load in a non-hybrid car can come in various forms. You can go as far as removing seats from the vehicle to just cleaning out the vehicle of useless items. Not only is idling your car bad for the environment, but it’s also bad for your wallet too! Idling your vehicle for two minutes is equivalent of driving a mile. You can waste almost a gallon of gas if you leave your car idling for more than an hour. The rule of thumb of changing your vehicle’s oil is every three months or 3,000 miles. Old oil causes more friction in the engine, which creates more heat. With more heat, your fuel burns at a higher level. This means that more fuel will burn with each stroke of your engine. You should change your cabin’s air filter every 15,000-25,000 miles or at least once a year. A clean air filter can improve mileage by as much as 10%, and nearly 25% of all cars could use a new air filter. Replacing a dirty air filter can save you 39 cents a gallon or take you 23 miles more on a typical tank of gas. Getting your vehicle serviced and making sure your sensors and spark plugs can greatly improve your gas mileage. If any of the sensors in the vehicle, such as the Mass Air Flow Sensor or the Oxygen Sensor becomes dirty or damaged the readings become inaccurate. This can throw off the balance of the vehicle’s fuel economy, causing the engine to “work harder” than it really needs to due to the inaccurate air flow readings. There are many little things you can do to improve your vehicle’s fuel economy. As gas prices go up, keep in mind some of these tips to help improve your mileage! If you’re looking to upgrade to a fuel efficient vehicle, check out our inventory and schedule a test drive online! 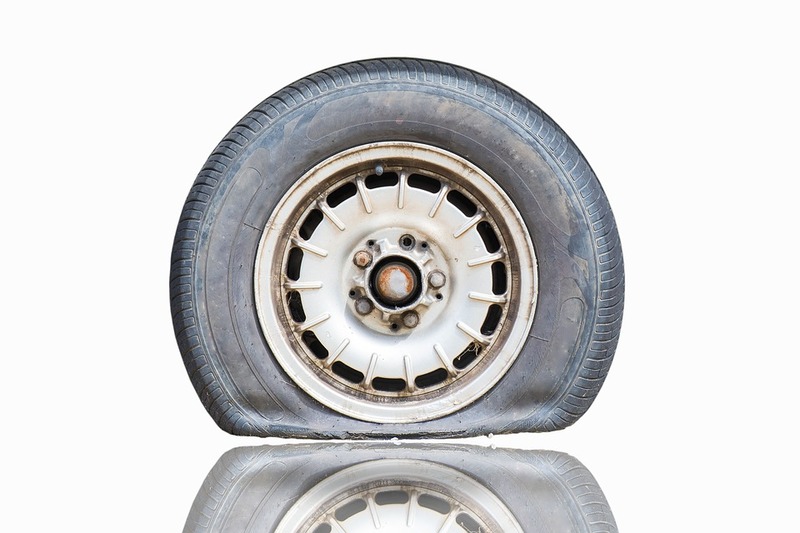 In the past, automakers equipped vehicles with a full or small spare tire. Nowadays, automakers are opting for a small tire repair kits instead. Though, having a tire repair kit in your vehicle isn’t such a bad idea. There are many tire repair kits out on the market today and each does different things. In this article, we will outline the various tire repair kits and what each of them does. Aerosol inflators are used to pump a sealant into a flat tire, plugging small punctures from the inside. Aerosol inflators have grown in popularity due to the easy-to-use nature and readily available nature of the product. It is important to note that aerosol inflators should only be utilized for very small holes in the tread of the tire. These products should not and cannot be used to fix holes more that 6mm big or for tears on the sidewall of the tire. Another thing to note is that once you use these products, you must take your vehicle to a professional soon. Typically at 100 miles or so after use, go by what the instructions on the product state. The professional must clean out the residue from the product left behind on the wheel and inside the tire. Tire patches, on the other hand, are usually done by professionals as the patch goes on the inside of the tire. This fix is generally the most reliable when it comes to tire repair and the strongest and most effective repair. Though, unless you have the tools to remove the tire from the rim, you cannot patch a tire yourself. There are a few options out there if you want or need to plug a small hole in your tire. There is always the professional option and Road Side Assistance if you’re in a real pickle. If you want to get your tires examined, please schedule an appointment online with our Service Center! So your teen just got their license and is feeling on top of the world! They eagerly ask you if they could take the car out to go to the mall or go visit friends, but, like all parents, you hesitate. Teen drivers are statistically more at risk than adult drivers due to their inexperience. According to research conducted by the AAA Foundation for Traffic Safety, 16- to 17-year old drivers are nine times more likely to be involved in a crash than adults and six times more likely to be involved in a fatal crash than adults. Of course, when parents become involved in teaching their children safe driving, these statistics become less shocking. 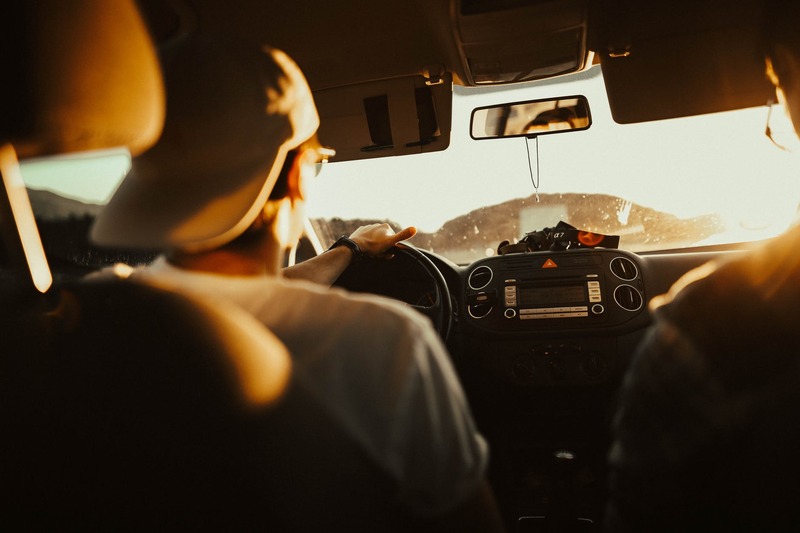 Teaching your teens what to look out for and how to be safe on the road not only protects your child but also their passengers and others around them. Here are three tips for protecting your teen driver. Minimizing distractions is the number one thing that can help teen drivers stay safe. Some of these distractions include using cell phones, having rowdy friends in the car, or even eating while driving. Minimizing distractions can greatly reduce the chances of getting in a car accident. While your teen may have the ability to drive alone now, parents should instill rules for using the vehicle. It’s important to reinforce driving defensively. This means keeping a safe distance away from the car in front, obeying all traffic signs and traffic rules, and generally just being aware of the surroundings. With time and practice comes wisdom, and teen drivers need to keep up what they learned in defensive driving in “real world” situations. Driving is a privilege, and your teen should treat the vehicle as such. This means teaching your teen the basics of car maintenance. These tips can really help your teen navigate any kind of problem they can encounter. In conclusion, while your teen may have their license, they aren’t equipped with the knowledge and wisdom of navigating the road. It is the job of parents to help prepare their teen driver for the wide open road! If you’re looking for a great vehicle for your teen, visit our website and schedule a test drive once you find the perfect vehicle! Technology is key! In this day and age, it takes more than what’s under the hood to get consumer’s attention! When people go out to buy a new vehicle they want it to be an extension of their technology. Smartphones have become quite the game changer in our world. People want to stay connected when they travel, so they’re looking for a vehicle that can branch that connection. But with all this new technology coming out, what is more than just “bells and whistles?” In this article, we will be outlining what technology to keep an eye out for when buying a new or used vehicle! 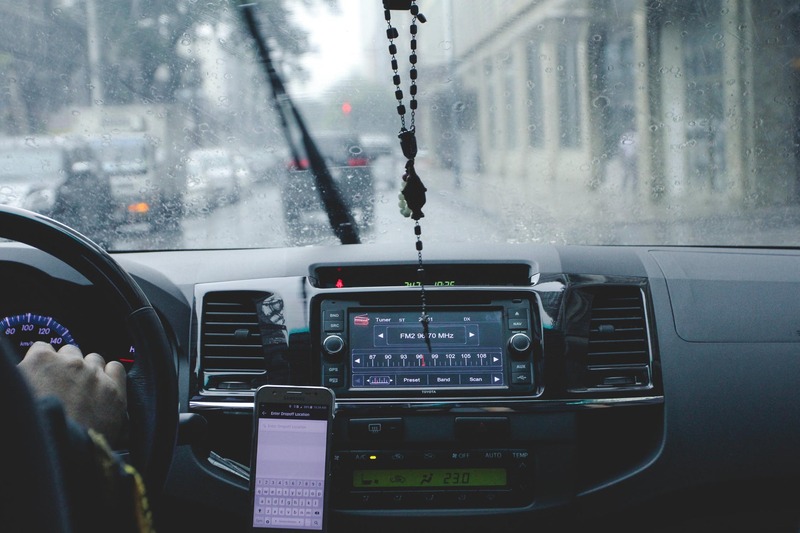 Connecting your phone to your car can be extremely helpful when it comes to receiving alerts, listening to music, or using voice navigation. One vehicle in particular that excels in connectivity is the 2019 Chevrolet Sonic. 7-inch touchscreen display that features apps such as OnStar, NAV, Audio, Weather, Sirius XM, and factory apps such as text and voice calling. myChevrolet MyLink which is an app that turns your compatible mobile device into a command center. Start or stop your engine† and lock or unlock your doors† with the tap of a finger. You can even send destinations to your vehicle’s available navigation system, view diagnostic information and set parking reminders from almost anywhere! Collision warning, lane departure, rear parking sensors and a slew of other safety features. Connectivity is a huge factor when it comes to vehicles being produced in this day and age. Our technology is an extension of ourselves and to be able to always be connected is a real deal maker for a lot of people. The 2019 Chevrolet Sonic is a great vehicle when it comes to connectivity. With everything the 2019 Chevy Sonic offers, it’s no wonder people love it! Technology isn’t just limited to connectivity! 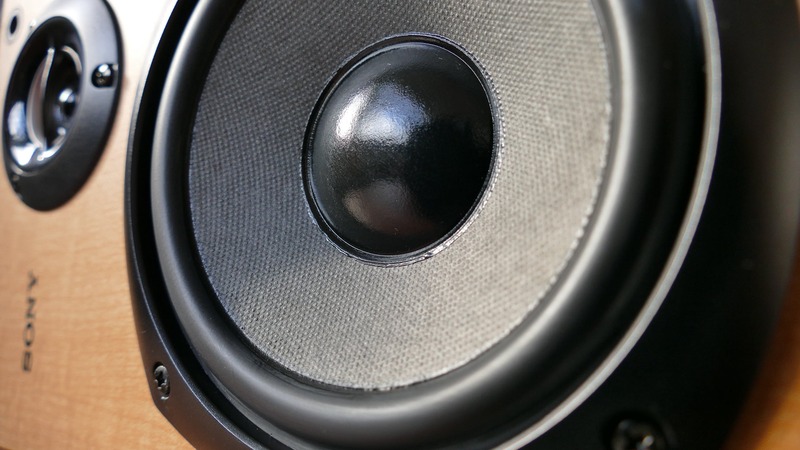 A great sound system is also something that vehicle buyers are interested in. When it comes to a booming sound system, the 2018 Chrysler 300 does not disappoint. Since 2011, Beats by Dre has been outfitting the Chrysler 300 with this sound system. The sound system includes 10 premium speakers, a trunk-mounted dual-voice coil subwoofer and a 12-channel 552-watt amplifier. Audiophiles can expect quality from these two cars. Safety tech is also really high on the list of things people want in a new vehicle. When toting around town, you want to keep you and your family safe. The 2018 Expedition also comes equipped with front, side and overhead impact airbags. Which ensures you and your family are safe from any impact. These safety features for the 2018 Expedition are some of the best in its class. The National Highway Traffic Safety Administration (NHTSA) recently gave the 2018 Expedition a five-star Overall Vehicle Score. This is the highest NHTSA rating that a vehicle can achieve, and the Expedition is the only SUV in its segment to earn this honor. Overall, technology within cars has been steadily improving throughout the years. Every year safety features, sound systems and connectivity features get more and more integrated within newer cars. Stop by any of our locations or schedule an appointment online today to test drive the vehicles mentioned in this article! Shop online 24/7 at our website! Ally: Drive With Confidence at Payne! What is Adaptive Cruise Control? What are the Advantages of Rear-Wheel Drive Systems? on What are the Benefits of Rear-Wheel Drive Systems? Elinore Toczek on Super-Duty Ford Trucks: Getting to Know your Ford!